Well, the long wait is over and I'm absolutely thrilled with the car. The color, Dune metallic silver is spectacular! The salesmen were all salivating over it, in that it was the first time they saw this color; especially on a convertible. 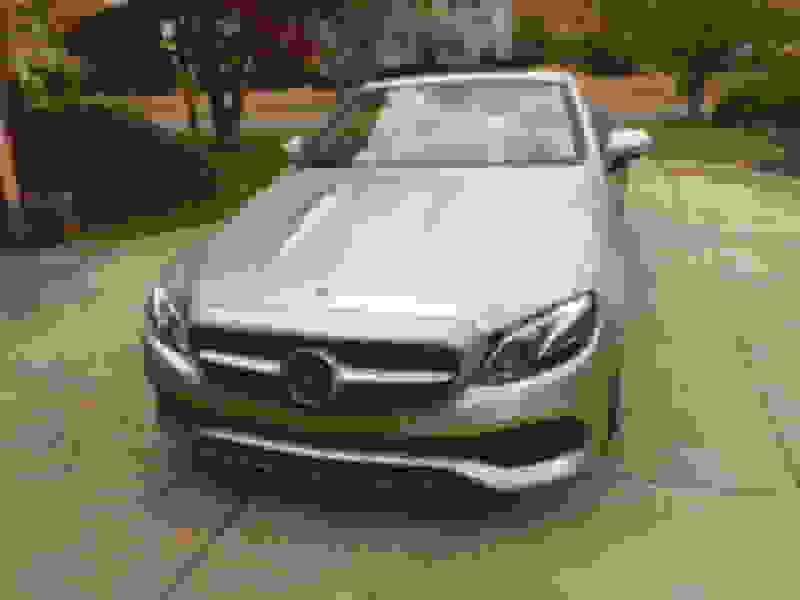 Here it is: The 2019 E450 Cabriolet! I have the matching Macchiato Beige/Espresso Brown interior with the Natural Grain Light Brown Elm wood trim. 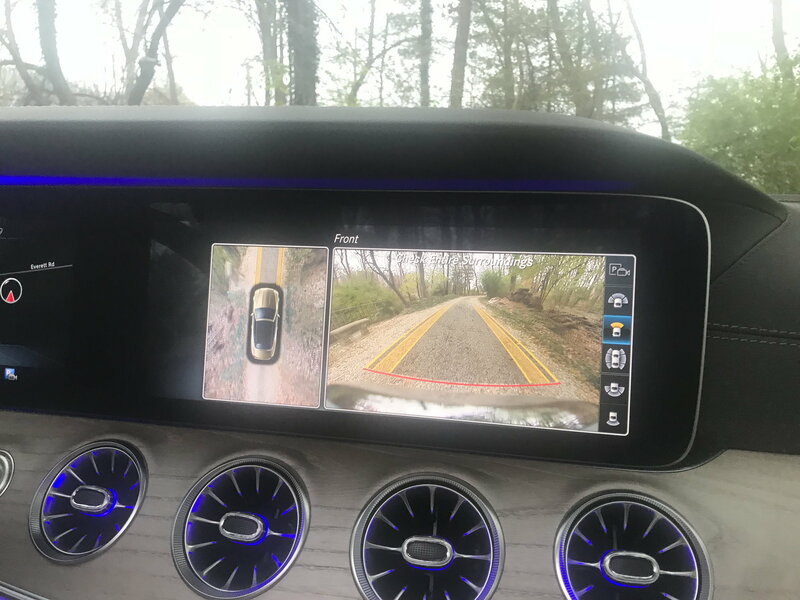 I got the base model (didn't want or like the AMG trim and didn't need the 4matic), and had it loaded with every option except HUD....could have got it if I wanted to wait next year. Unfortunately, it is a very cloudy day and pictures do not do this car justice. Will shoot more if and when the sun comes out. Until then, here a few teasers. Last edited by rustybear3; 11-08-2018 at 06:31 PM. Rusty, that looks spectacular, just gorgeous! I especially love seeing your pics because that's the same interior color combo I've ordered for my due-in-January coupe. These shots confirm that I made the right choice (for me). BTW, as a hobbyist-photographer I can tell you that you shot in good light for showing off this beauty. Sun bleaches out color in photos and causes hard-to-tame reflections. Anyway, here's wishing you many happy miles. Rusty - GREAT looking automobile ! Well Done on the selections. I've had my MY18E400 nearly a year now and enjoy every drive with her. Nice looking ride. Many miles of happy motoring. Thanks lensjack! I was wishing for a little more sun to show off the gold flake, but oh well....you know Ohio. Of course autumn really does set her off in terms of her colors. Learning the menus, and taking it easy the first thousand miles. The car is so smooth, that you think your riding on a dream! Thank you. It did turn out beautiful, didn't it? I'm tired of dark colors on exteriors and interiors that I see so often. Thank you....I intend to ride it as much as I can. Unfortunately, with winter approaching, it will soon be time to put it in storage. No rain or snow for this baby! Simply Stunning Rusty! Love the colors outside and in. And I hope you drive her in the best of health and happiness! Congratulations!!! Thanks rbrylaw, My wife and I were really surprised how this car really excelled our expectations! What was really nice was our sales advisor, that literally spent hours showing us everything available on the car. Including demonstrating and showing us how to use the parking assist function. To me, the most impressive feature was the Distronic function....it practically drives itself! Great for long drives. Looks awesome, I may be getting one tomorrow in Designo white with Distronic and the AMG package. Beautiful car, love the line of it. The tires and brakes are huge, much like a AMG and the performance on these cars for a just a V6 is great. 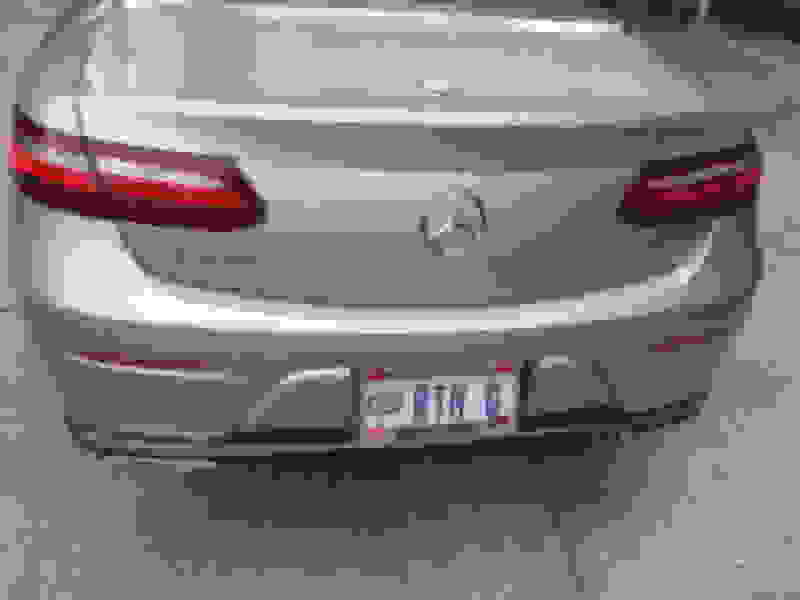 I can imagine they must handle great in the corners, even my E450 seems like it has excellent handling even though more narrow tires than the Cabriolet, I think thats one reason the gas mileage is a little lower in the cabriolet vs the sedan, coupe or wagon is because the tires are wider and probably a little more aerodynamic drag. I think it's 27 highway vs 29 so not that much of difference. A little smaller of a fuel tank in the Cabriolet, 17.4 gallons vs 21 so the range on the Cabriolet will not be as good as I'll get with my Wagon, but I don't care, beautiful car. Thanks for sharing some photos - the car looks great. Go for it! 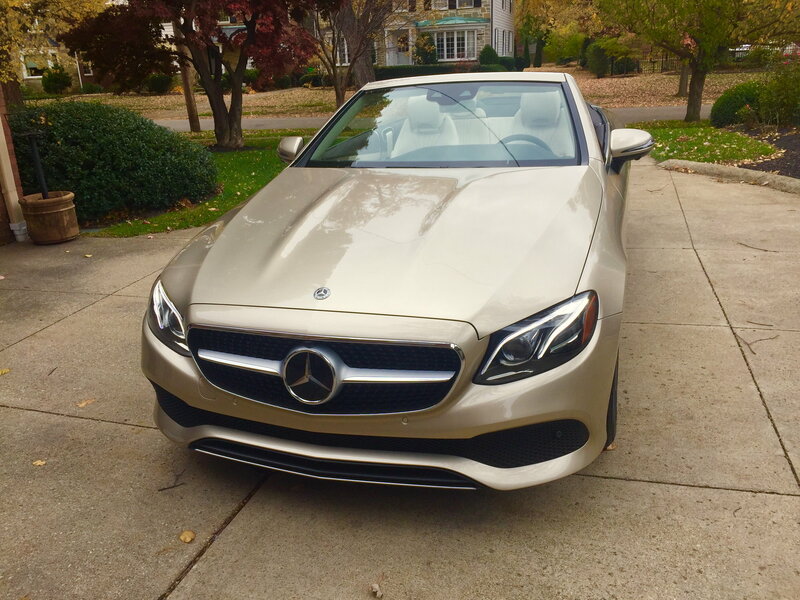 You'll absolutely fall in love with the Cabriolet. The handling is superb, and well, there is nothing like touring with the top down...and with Aircap, buffeting of wind is very minimal. There is somehting about a convertible that makes you feel special. Thanks stephos, we're loving it! Nice color, keep it clean! Rusty, congrats! She's beautiful. You picked a really nice interior/exterior combination, well done. Looking forward to your thoughts. Well, being new to the Mercedes family, I must say it's been a pleasure to drive this vehicle. The suspension and ride is top notch and the handling around curves, is tight and secure. I was particularly surprised by the Pirelli rf's, which I was prepared to hate. They provide a relatively smooth ride, while gliding over bumps and bruises of the highway pretty quietly. It didn't take me long to get the digital menus down (I'm a techie), and I love the varied and numerous ways in controlling them. Coming from a Cadillac CUE touch screen, I must say I never want to go back to that dangerous and clunky way of menu operation....plus, no more finger prints on the screen! WOO WOO! No mater where my hands are, there is some sort of controller at my fingertips. 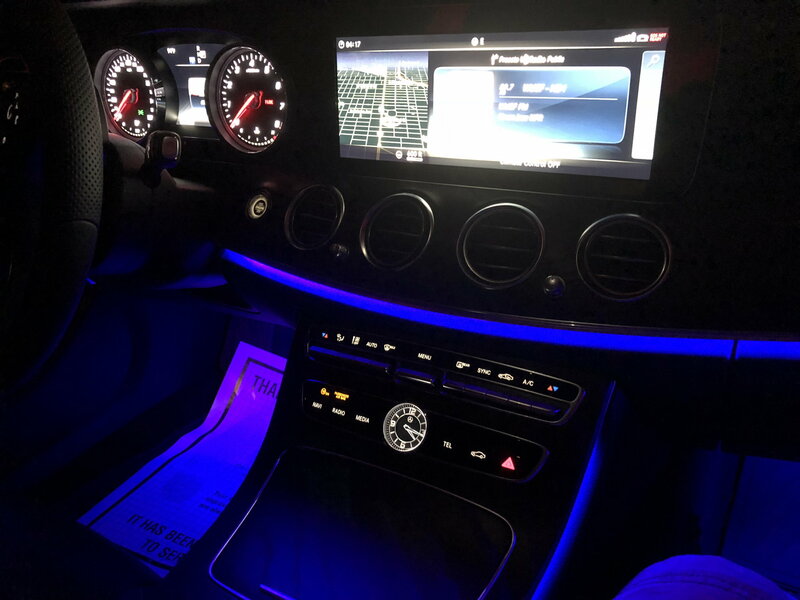 I was so glad not to get the silver inlayed steering wheel (and no, I didn't get the night pkg or AMG), figuring it would be tough to keep clean with my hands and fingers being on it constantly. The silver trim spokes, however, are absolutely gorgeous, and set off the car. Another observation is how quiet the car is with the top down...it's like being in a hardtop automobile. 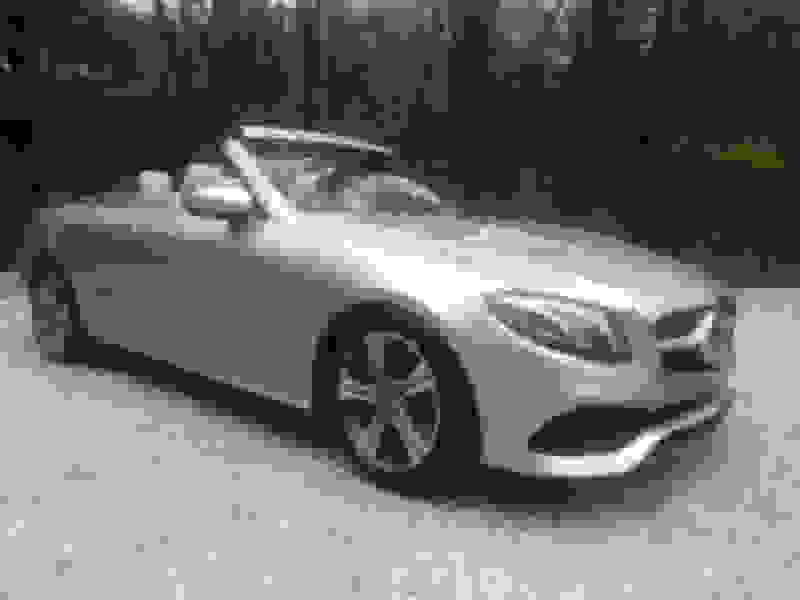 Convertibles are certainly light years ahead of my last one back in the late 1960's....lol....and this Mercedes is quality all the way. Those are my initial musings so far. I hope to share other observations down the line. 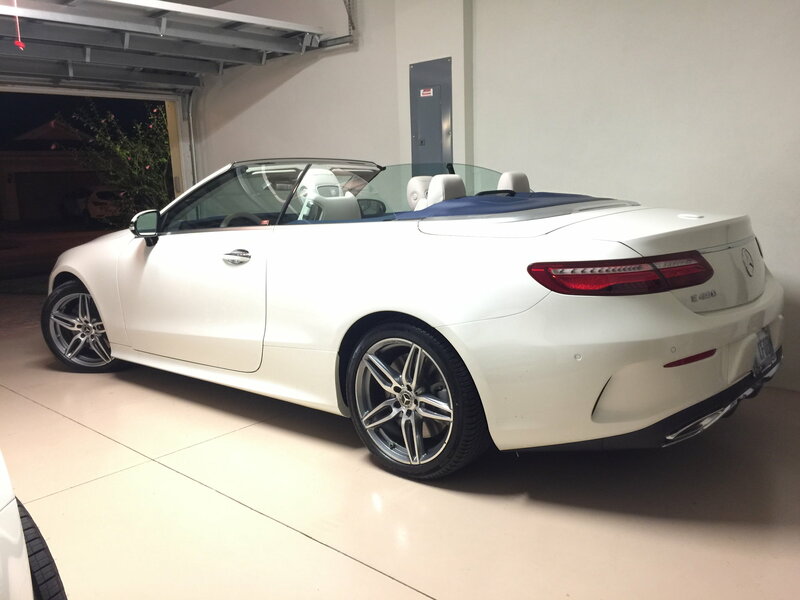 Glad you're enjoying the new Cabrio! I'm with you on not having a touch screen. That said, those days will soon be over in MB land. They are in the process of migrating to MBUX, which looks like our screens, but the comand side is now touch screen. The new GLE coming in early 2019 and the new A class will come with MBUX. 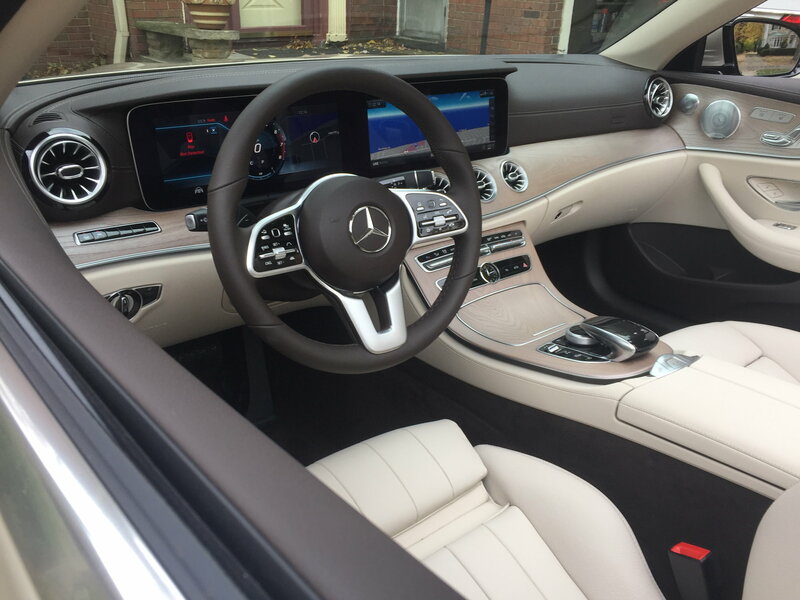 But it is Mercedes version of Alexa or Google Assistant and will be way more voice active, with a true track pad and of course the steering wheel controls, so I'm sure one will be able to master MBUX without touching the screen. Very interesting. The best of both worlds, I guess. QUESTION: Does anyone know if you can split the right main screen to show both media and Nav directions? Why yes, yes you can! it's buried in settings and I can't quite remember the right sequence, but you absolutely can have the nav view on the left side and the media view on the right side. I figured you could. Just can't seem to figure it out in the menu system. If I remember coreectly, it's in vehicle settings, screen and you find a place to check navigation and that was pretty much all you had to do to get the split screen view. I found it. It was in display settings and I needed to check off navigation rather than Dynamic. Screen/Display Settings, tomaytoe, tomahto. LOL Glad you got it figured out! Just go to the system setting and then go to additional display area then click innavigation map. That’s the second one down. 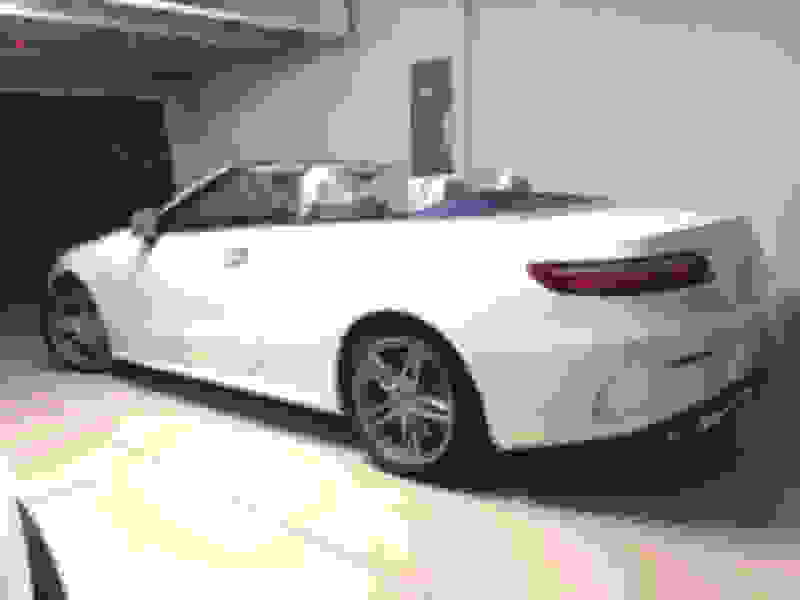 Really liking my diamond White e450 cabriolet. Intersesing how it drives kind of different from my wagon even though the same power train. The shifts are more firm. Might be different software programming a little more aggressive. Wow! that white cabrio is a stunner! Glad to see coupe/cabrios getting represented. Oh My Goodness! That Cabriolet is just drool worthy!!!! Way to go fellow Cabriolet owner. She's a beaut! Jealous that you'll be able to drive it more as I have to store it for the winter . Oh, well, gives me something to look forward to in the spring. Congratulations!